A new tea strainer promotion on Amazon is available for a limited time only. Consumers have two more days to receive 86% off a set of three stainless steel loose tea infusers and black storage pouch. BALLSTON SPA, N.Y. - Nov. 4, 2016 - PRLog -- In two days, the Christensen & Nielsen Trading Co.'s Launch Promotion for the newest addition to the Elisabeth Nielsen® Brand lineup will end. Consumers interested in making a discounted purchase can enter a special promotional code during checkout on Amazon to secure a set of three fine mesh tea strainers. After the promotion ends, the price will return to $10.99. Each set includes a small, medium, and large strainer for various sized applications. Tea enthusiasts can steep both herbal and traditional loose teas using any of the strainers. The smallest strainer steeps single servings, the medium size makes enough tea for oversized mugs, and the large size brews enough tea for the average teapot. Brand representative Sharon Drummond says, "Once our customers add the strainer to their cart at a rock bottom price, then the fun of choosing loose-leaf teas begins. There are countless teas - both traditional and herbal available at the local tea emporium. Many promote good health and well-being and differ widely from the tea bags we see in the grocery store." The Elisabeth Nielsen infusers are made with grade 304 stainless steel; the strainers will not rust or corrode over time. Individual strainers feature locks to compress the two halves together and prevent leaf particulate leakage. Users can drape and / or hook the metal tassel over the side of the mug or teapot for easy retrieval. 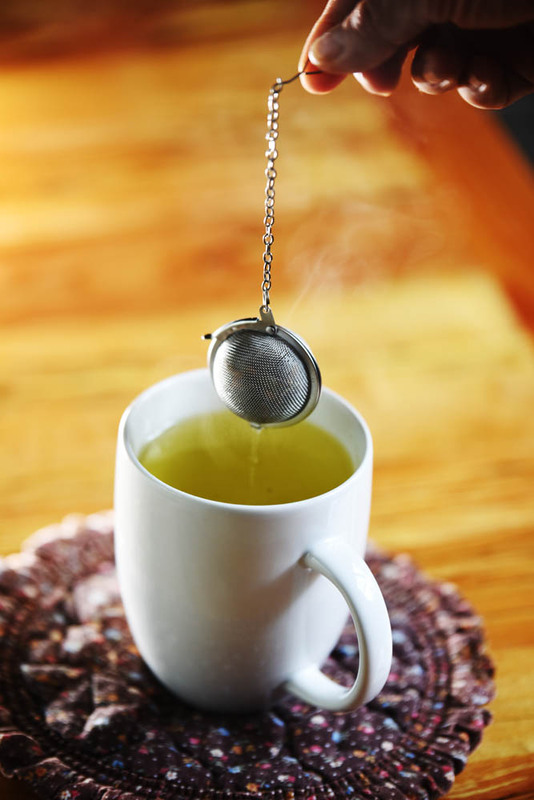 Most teas require less than five minutes to fully steep. With a reliable metal mesh strainer, tea drinkers can easily steep their teas of choice without visiting a tea shop. According to company spokesperson Dave Christensen, "I've used poorly made tea strainers before. They leave residue behind, they rust, or are difficult to open and close. My goal was to make a tea infuser anyone can use, time after time, and with success." The tea strainers come with a one-year warranty to cover any defects in manufacturing or materials. To keep the strainers clean and free from damage, the company recommends storing clean and dry strainers in their accompanying storage case. To take advantage of this limited time offering, interested shoppers can visit this webpage: http://christensennielsen.com/tea-infusers to obtain a special promotional code for use during checkout on the Amazon platform. The code will reduce the price to $1.49 – down from $10.99. The promotion price is limited to one set per customer. The company indicates that sales have increased significantly since yesterday. Ms. Drummond added that the offering was meant to introduce loose tea to people who had previously only experienced the age-old tea bags. Shoppers who want to secure a set need to act quickly before supplies run out.